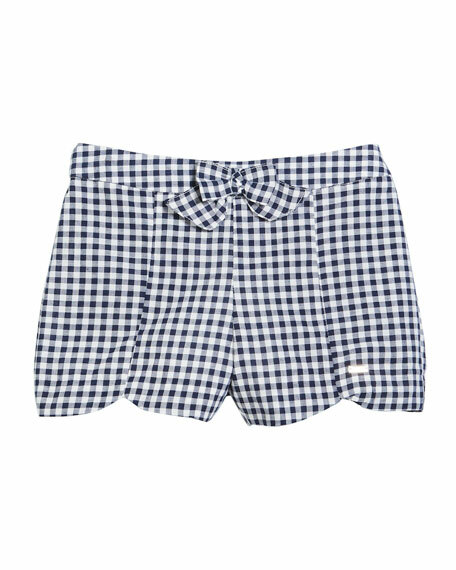 Mayoral paneled shorts in gingham. Banded waist with bow detail. For in-store inquiries, use sku #2506495.